The new 2019 ProV1 and ProV1x are available in yellow. That’s the easy headline, and it’s certainly what’s going to be most obvious to anyone looking for something quantifiably different about the new balls, but it’s hardly the whole story. As with most everything else in the game, with its latest iteration of the #1 Ball in Golf, Titleist promises more speed. Specifically, Titleist is claiming more distance in the long game without changing what you’ve come to expect from the Pro V1 franchise from 120-yards and in. That’s an important detail. Over the past couple of years, some ball manufacturers have promised more distance through the long and middle portion of the bag, and while they’ve mostly delivered, greenside performance has been a little more difficult for the average golfer to come by. That greenside deficiency provides Titleist with an opportunity to keep pace in speed department without making the short game sacrifices some others have. The mandate for the new balls came largely from Titleist’s professional staff, including its tour pros. Titleist R&D worked in focus group like environments, asking players what they might want from a new ball. Titleist says there were plenty who told them not to touch it, but the most common request was more distance, and of course, they wanted that distance without changing what they love about the ball, which was basically everything else – feel, flight, spin, etc..
Back in the lab, the R&D team produced more than a few prototypes; systematically isolating variables and trying things like thinner covers and new core formulations while playing with the thickness of the various layers. With speed the goal, the design process became all about putting more of what’s fast and less of what’s not into the golf ball. Case in point, the cover. While Titleist will tell you that its proprietary cast cover is the best in the game, it will also acknowledge that the cover does nothing for speed. Thinning the cover won’t make the ball faster, but reducing its thickness does create the potential to add speed in other places. To that end, Titleist thinned the cover of the new Pro V1 and Pro V1x by 17%. The company isn’t claiming any performance or durability benefit from the thinner design. In fact, the big selling point is that the new cover is that it performs just like the old one. 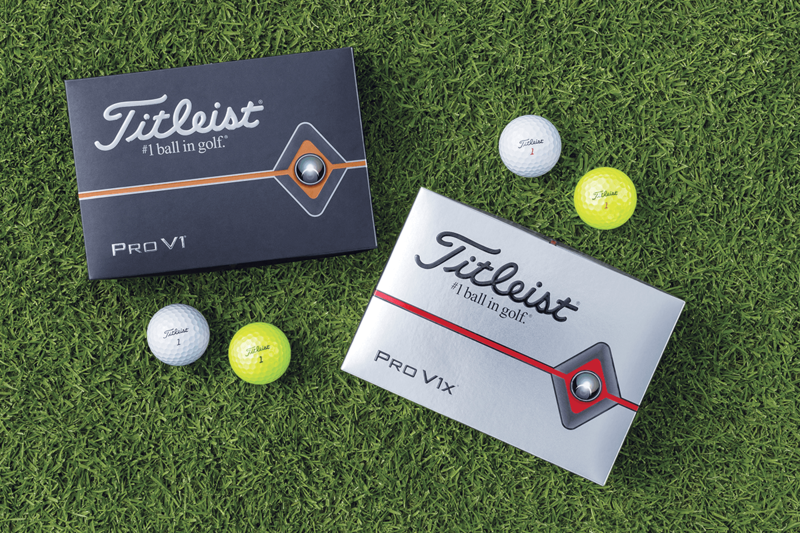 The thinner cover allowed Titleist to make the casing layer (what other OEMs often call the mantle) 14% thicker in the Pro V1 and 11% thicker in the Pro V1x. According to Titleist, the thicker casing layer is part of the reason why the new ball is faster and spins less in the long game. Because Titleist was able to save thickness in the cover, it didn’t need to alter the dimensions of the core. That’s not to say Titleist’s juicy center hasn’t been upgraded. The company is using what it calls a 2.0 ZG process to make the core of the new balls. The new formulation results in a firmer outer portion, while the innermost portion of the core is softer. While it’s not totally unlike one of those molten lava cakes, it’s all very technical stuff. 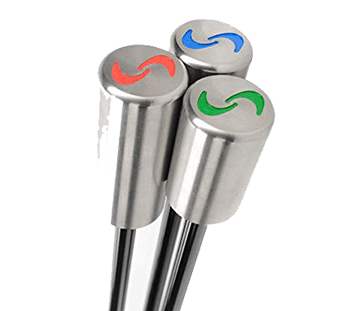 Skipping over the science, like the thicker casing layer, the new process helps create more speed, and lower spin in the long game. Again, I want to reiterate that the changes to the new ball don’t impact performance from 120 yards and in. Longer, with no degradation in greenside performance, that’s the story. It’s also worth mentioning, that Titleist made the same changes to both balls, so the relationship between the two models is unchanged. Pro V1x will launch higher and spin more than Pro V1. The AVX guys can still expect launch lower and spin relative to the Pro V1. And, of course, the new Pro V1 and Pro V1x will be available in Optic Yellow. Woo hoo! No seriously, this is exciting news, right? Titleist is not the first (though it’s not the last either) to offer its flagship ball in yellow Like PING with its new movable weight driver, it’s fair to ask what took Titleist so long. 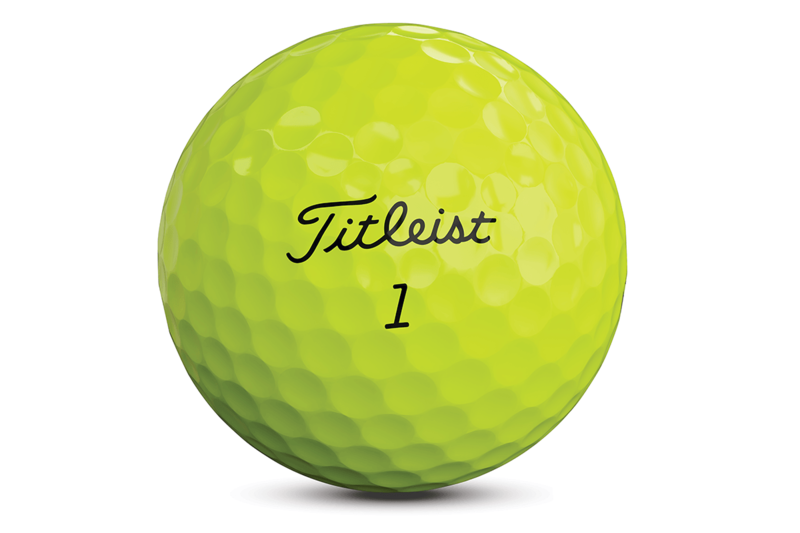 It’s reasonable to assume that until recently, Titleist hasn’t felt any particular need to explore yellow. 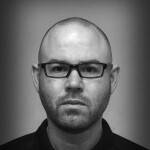 It’s been a solid number one in the ball market for as long as most of us can remember, and the reality is that non-white balls (the catch-all that includes yellow, pink, etc., all the new matte stuff, as well as Callaway Truvis designs) accounts for only about 20% of the ball market. It is growing, however, and it’s not crazy to think that a yellow Pro V1 could grow market significantly. It’s also no secret that while its tour use is up, Titleist has lost some market share over the last couple of years. Chrome Soft has propelled Callaway to roughly a 20% dollar share, while TaylorMade’s TP5 franchise appears to be gaining momentum. 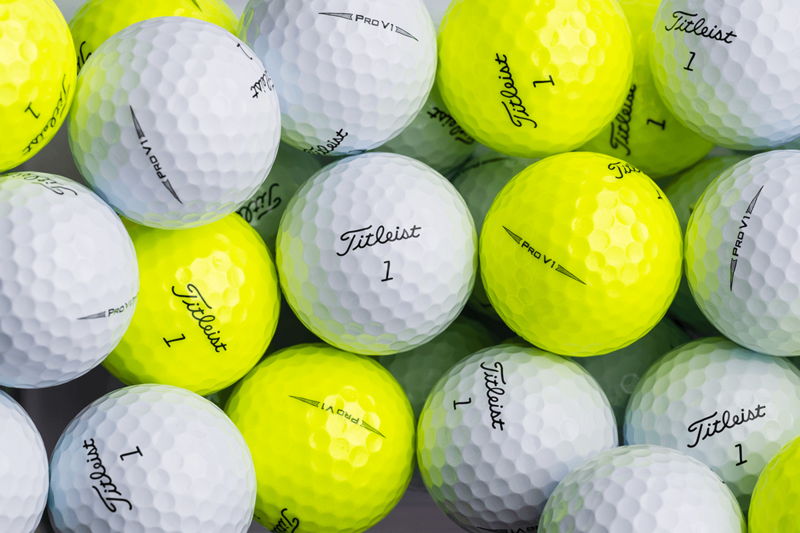 It’s a perfectly reasonable assumption that Titleist may be looking to yellow as a means to regain some of what it has lost. There’s also the reality that making a yellow ball with Titleist’s cast urethane cover process isn’t as simple as adding some dye and calling it a day. Titleist’s VP of Golf Ball Marketing, Michael Mahoney, describes casting a yellow cover as a chemistry problem. There’s really quite a bit to it. If Titleist is going to do yellow, it has to look good. That isn’t the case with all yellow balls on the market. Flat, listless, and opaque may work for its competitors, but Titleist isn’t going to make a dull looking ball. To do yellow the Titleist way, it’s not just the cover needs to be colored. Because Titleist’s yellow is translucent, the casing layer needs to be dyed as well. Finally, making the ball yellow requires a change to the Pro V1’s protective pearl coating. That’s 3 aspects of the design that need to be altered, and all of it has to be done in such a way that a yellow Pro V1 performs absolutely identically to a white Pro V1. And while that might sound like it should be simple enough, maybe it isn’t. Anytime you add something to a layer of a golf ball, you’re changing the formula, and while most of us have probably assumed that the current yellow balls on the market are 100% the same as their white equivalents, is that actually true? It has been suggested to me that perhaps that may not be the case. The bottom line is that Titleist has a franchise to protect and yellow done poorly is a much bigger risk than no yellow at all. 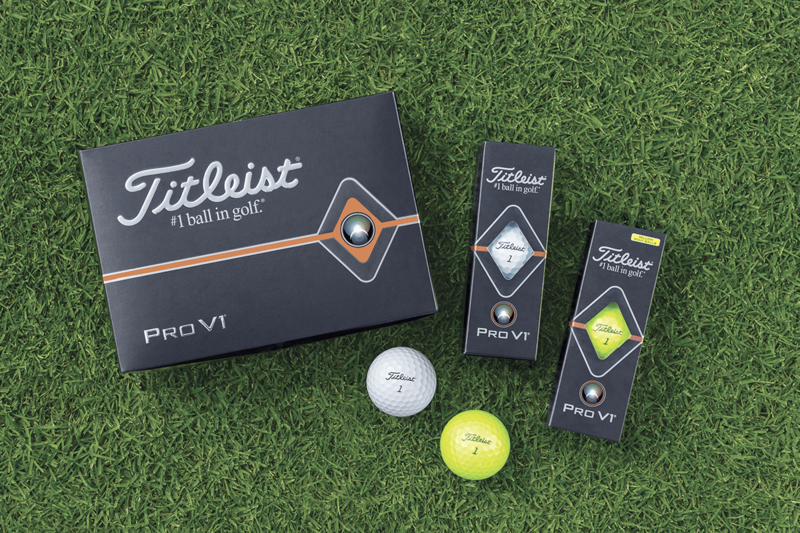 Only when it felt that it could make a yellow ball that’s otherwise 100% identical to a white ball did it make sense for Titleist to release a yellow Pro V1. What impact that will have on the market? Who knows? It’s good to have options. On the tour side, Titleist says there’s been more interest than expected, but you’re dealing with guys who are largely set in their ways. There could be handful of guys that end up playing yellow on tour. It could just as easily be none. It stands to reason that if a notable Titleist staffer or two puts yellow in play – or better yet, wins with it, it would likely jumpstart sales. Even with no tour play, Titleist hopes to attract golfers who may be playing other tour balls largely because they’re not white. 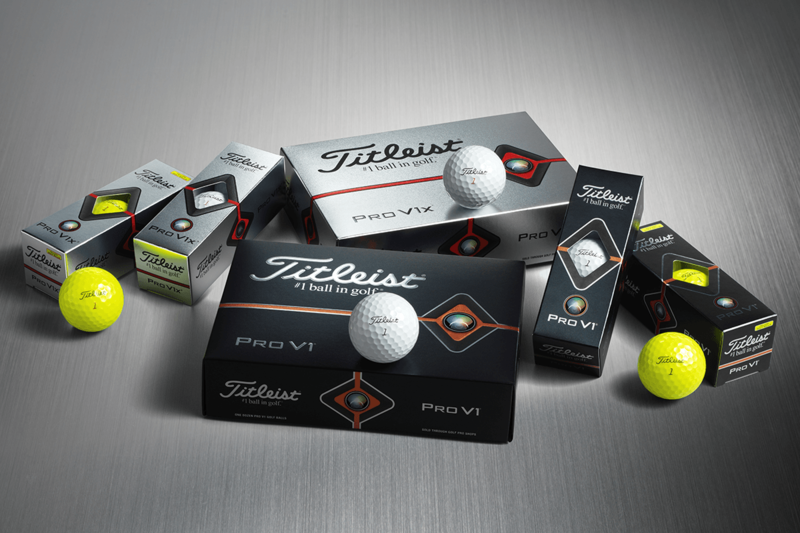 White 2019 Titleist Pro V1 and Pro V1x are available now. The Optic Yellow models will hit shelves on March 15th. Retail price is $47.99 per dozen. For more information, visit Titleist.com. The best thing about a Titleist golf ball is its packaging. So now my shots will go a yard or 2 farther & stop 2 inches quicker? OK, I’m giving away all my last year’s Pro V1’s as we speak! A fool & their $$$ are soon parted. Stopped playing Titleist a few years ago, big mistake. The other ball was almost as good at the Pro-V, but not quite the same around the greens. went back last year to the Pro-V and most happy I did. Great close out sale as well, so I picked up a few dozen. Now will try the new ball, my bet it will be better. I like that the yellow is actually yellow and not that neon greenish yellow that some balls have. I agree, the TP5X has really improved in the last few years and for me it’s longer than ProV1X. Not much, just a few yards. But still… I’m not surprised some of their tour staff had asked for slightly more distance. …and Titleist will still charge twice as much as competing balls that perform 99.9% the same as a ProV1/V1X. And people will continue to buy them so why would they charge less? Hey Brad, “competing balls”? Are you saying that Callaway Chromesoft and TaylorMade TP5 cost half as much as a Pro V1. Please let me know where you’re seeing those balls for half as much so that I can go buy some. Why is Yellow not available until March 15th?